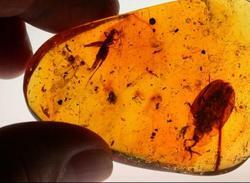 Like an insect frozen in amber, Pompeii gives us a moment from over 2000 years ago. 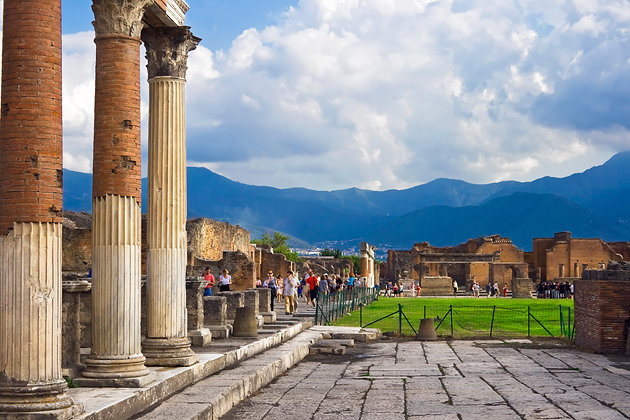 The city was sealed like a time capsule when Mount Vesuvius erupted, burying the city and many of its citizens in ash and volcanic pumice stone in the year A.D. 79. 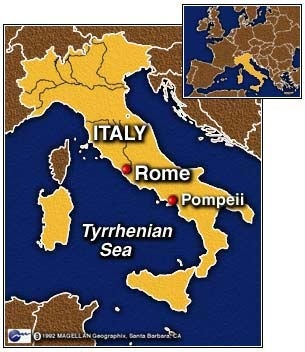 Pompeii is in Italy and lies along the coast. Strolling through the excavated streets, visitors can enter houses, glance into shops, admire a 5000 seat theater, and see household objects and statues that are 2000 years old. 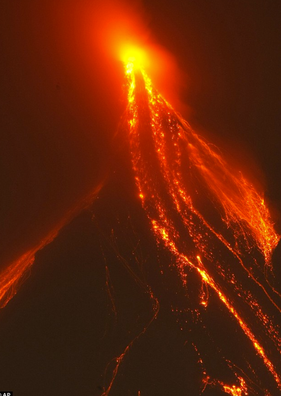 Volcano FACT: The longer it has been since a volcano has erupted, the greater and more severe the eruption will be when it finally does erupt. 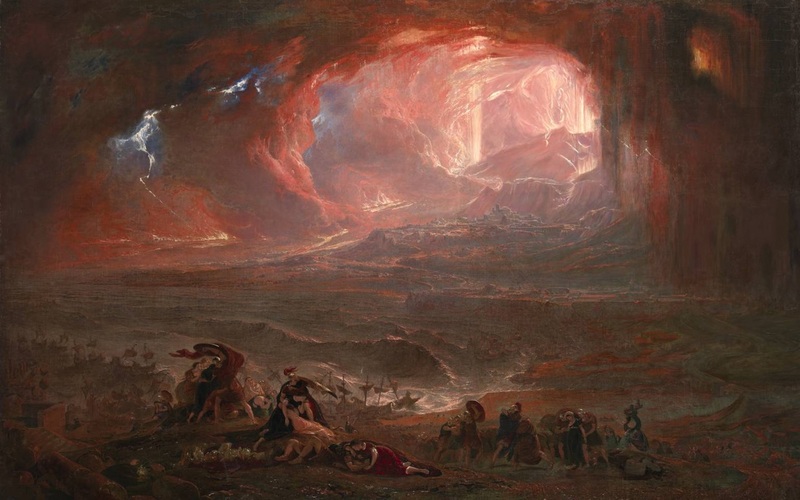 Vesuvius had been quiet for years and years. 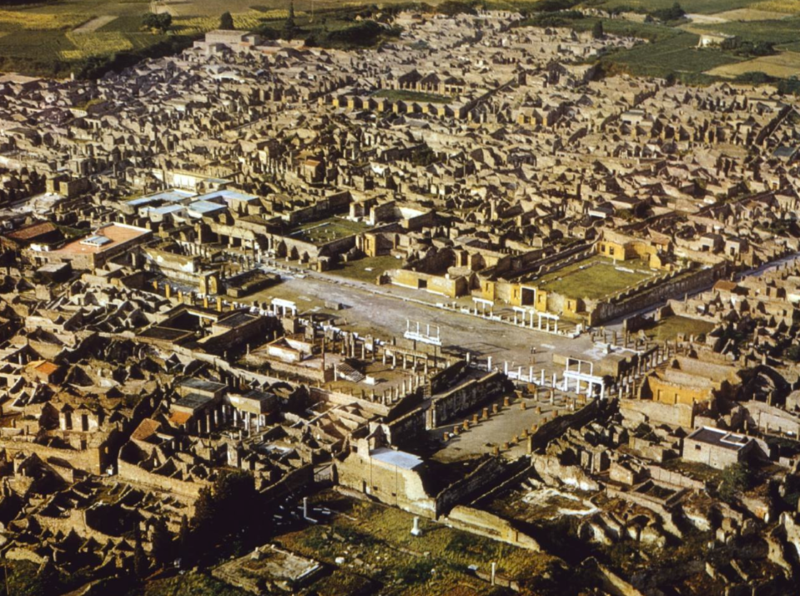 Pompeii was a prosperous trading port of 20,000 people. Many living there were rich. 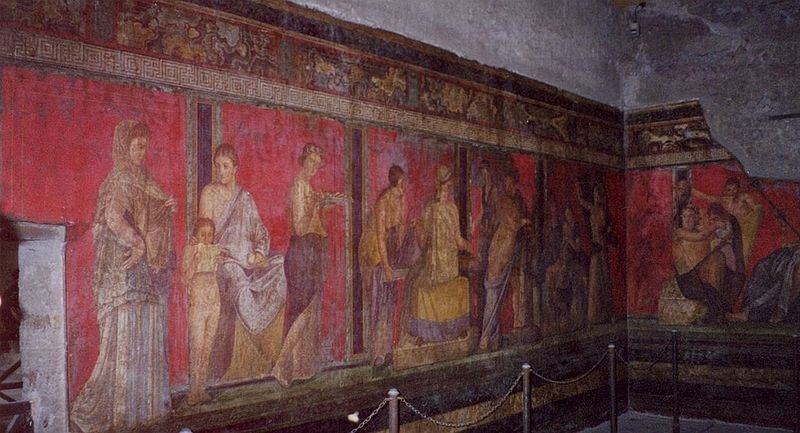 Even Rome's Caesars (what they called their rulers) often vacationed in Pompeii with hundreds of other wealthy Romans. 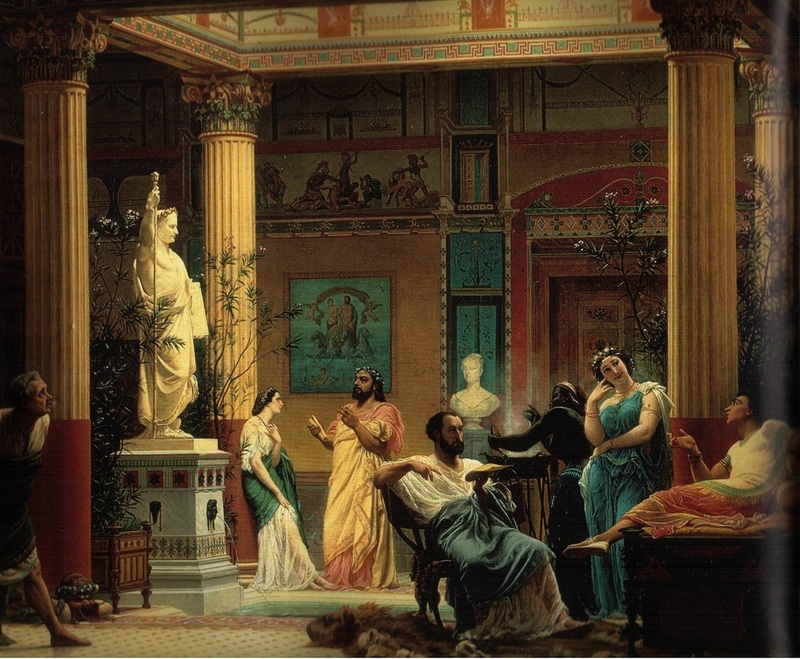 They enjoyed the arts and had lavish houses. That would forever change when Vesuvius erupted. 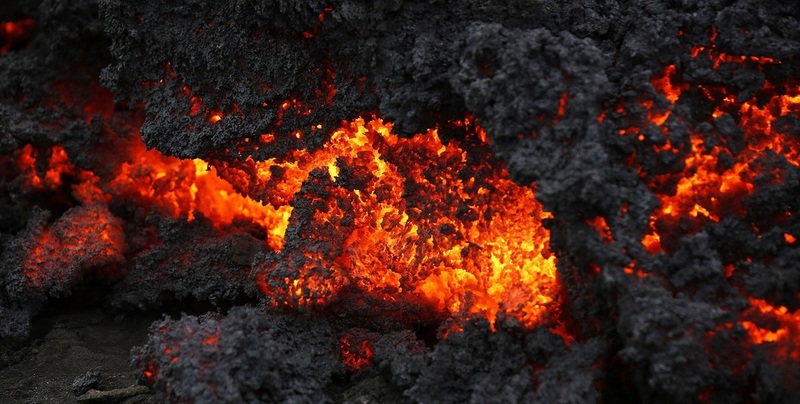 Volcano Fact 2: The ground water (streams and well water) starts to get warmer before an eruption…When the lava starts flowing and hits water, watch out! 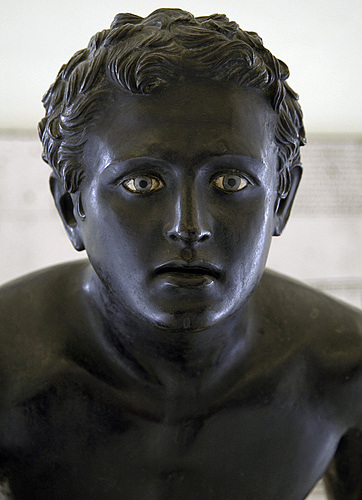 DAY 3: About 10 percent of Pompeii's people died in the eruption; most had fled when the volcano began rumbling and spewing out dark warning clouds. Years passed. More years passed. And more. The town lay buried and forgotten until the 18th century when excavations began. What they found under all the layers of hardened lava was amazing! The ruins were HUGE and contained objects as well as buildings. They even found people --the lava had covered those who were trapped, sealing them forever in the lava as it --over 16,000 people perished. 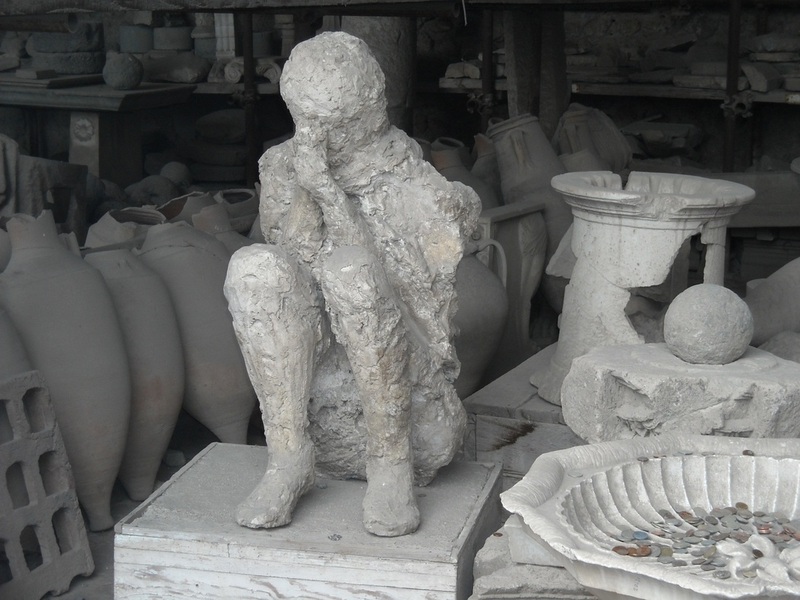 You can seem many of those hardened forms of people today at Pompeii and at the museum. 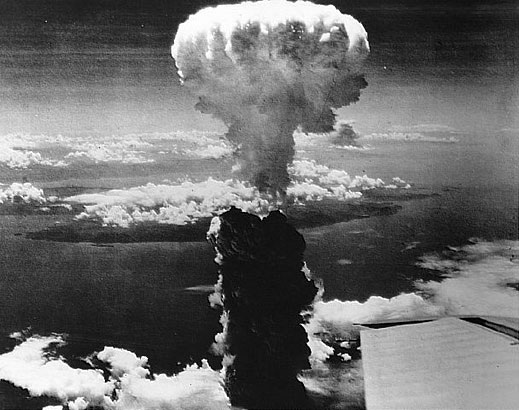 Volcano Fact 3: It has been estimated by scientists that the eruption of Vesuvius was about 100,000 times the force of the Hiroshima atomic bomb! 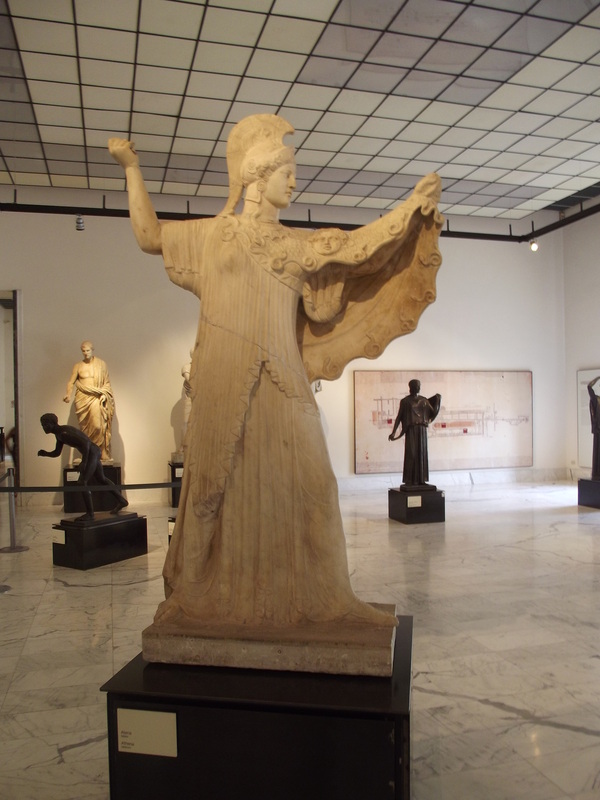 DAY 4: The ruins of Pompeii are one giant 2000 year old museum, however there are two other museums --one at the sight and one at Naples where you can see artifacts (what you call historical objects) that are best preserved in a true museum setting. 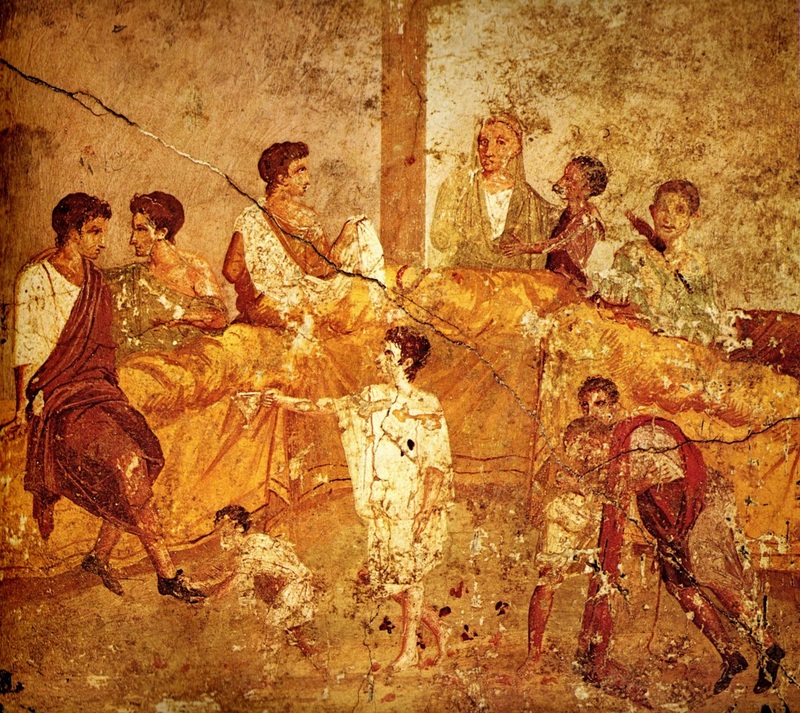 These objects show us the wealth of the people in Pompeii before the disaster. 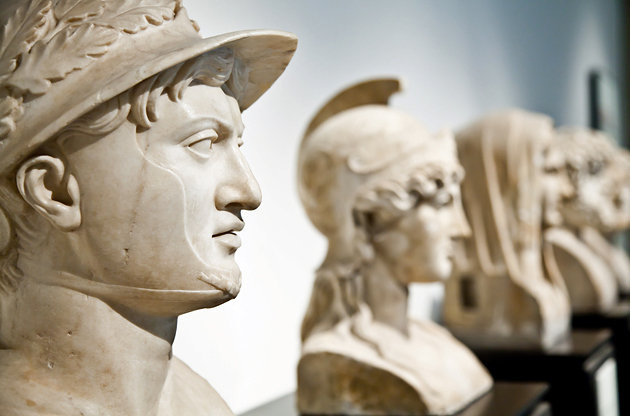 Many had beautiful statues and elaborate decorations in their homes. 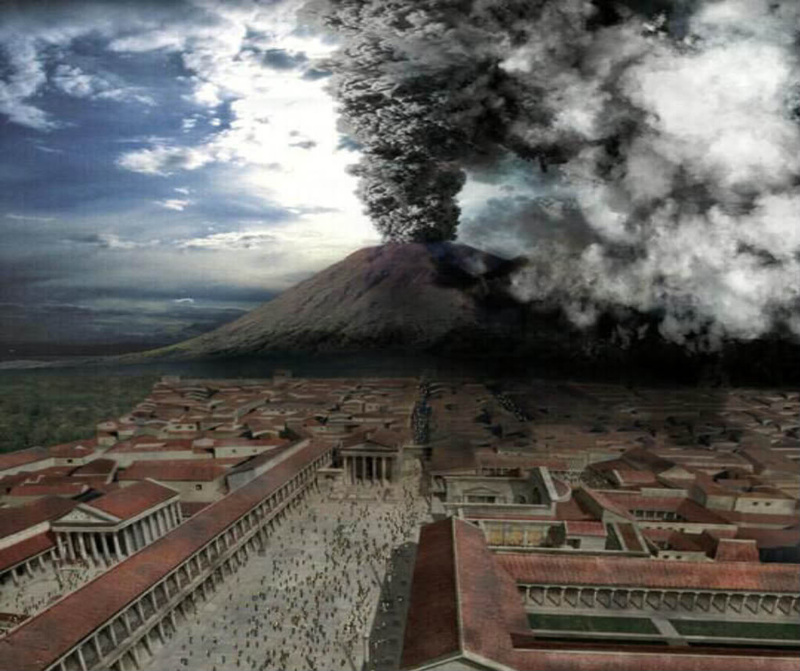 Volcano Fact 4: The eruption of Mount Vesuvius lasted more than 24 hours. It is estimated that about six inches of ash fell every hour. DAY 5: Today, Pompeii is one of the most popular tourist attractions in Italy, and with good reason. Although much of the city was destroyed by the nearby volcano, it was also largely preserved by being buried under more than 60 feet of ash and pumice, sealing history away until it was discovered in the mid-1700s. The site is so huge you could easily spend a day there. There is a word called irony --it means something, that for some reason isn't at all what it should be; there is irony in the disastrous eruption of Mount Vesuvius on the city: Even as the volcano's fury destroyed Pompeii, it also preserved most of what the world knows about this ancient town. 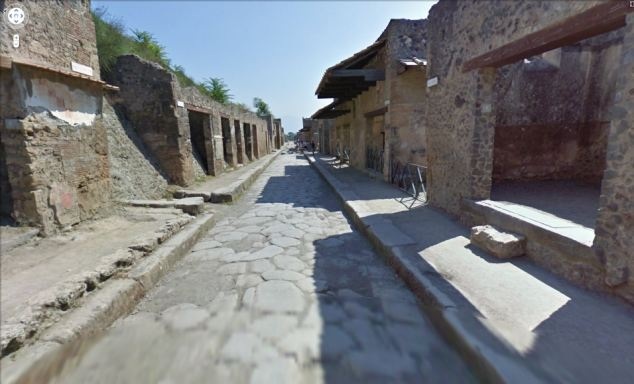 Other places at that time no longer exist… they are long gone…but Pompeii is still there --even after 2000 years. Volcano Fact 5: It could happen again. 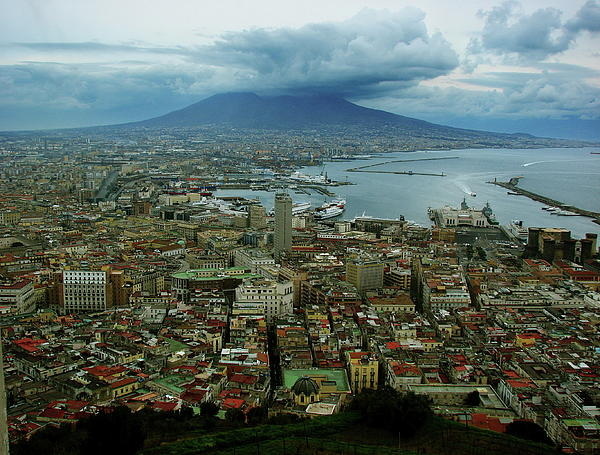 Vesuvius is considered an active volcano. 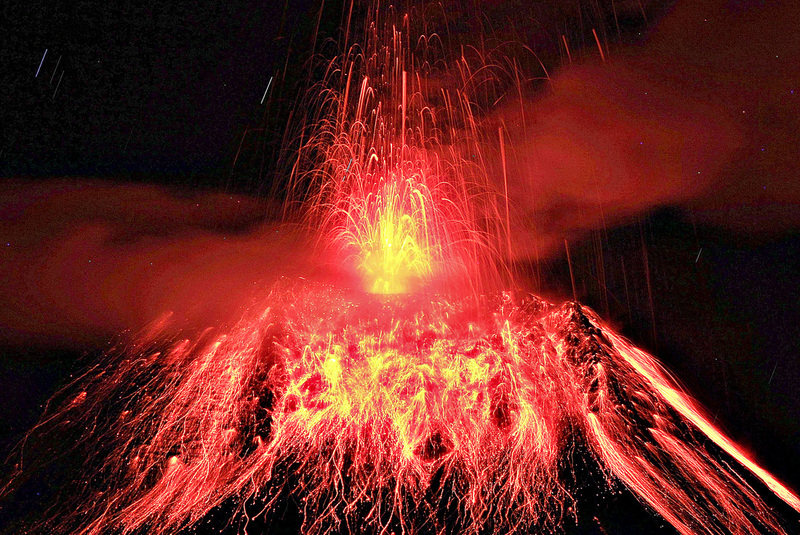 It's last eruption was in 1944, and experts expect another massive eruption could happen at any time, posing danger to 2 million people who live in the area around Pompeii today.